Mcoplus is a well know trademark who specializing in offering digital camera&photo accessories to worldwide .We try our best to make sure customers have a pleasure shopping experience with us .we supply good quality products and very pretty price. Designed for Canon EOS 6D DSLR Camera. Use of one or two LP-E6 Li-ion batteries or six AA batteries(batteries not included). 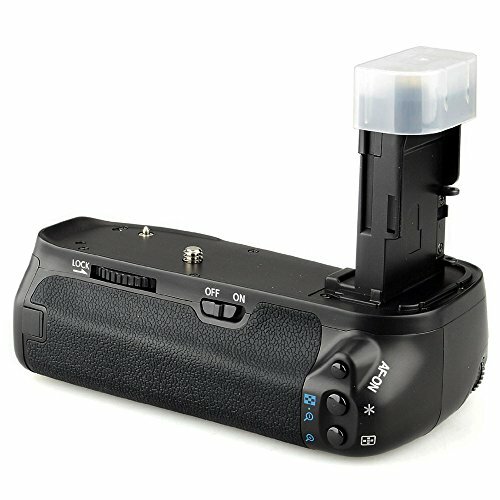 With Shutter Release ,Main Dial ,AF Point Selection Button ,AE lock/FE lock button. Weight: Approx.295g/0.649lb(without batteries and battery magazine). If you have any questions about this product by Mcoplus, contact us by completing and submitting the form below. If you are looking for a specif part number, please include it with your message.